The backpack is modern style and is made of high quality soft canvas fabric,strong and durable. Exquisite fashion print pattern,color will not easily fade off.It very suit for daily used,short travel etc. Large capacity,multiple-layer design,compartments with sufficient space to contain objects. Side zipper and double zipper design for more convenience in daily using with adjustable padded shoulder straps which greatly reduce the pressure to shoulders. 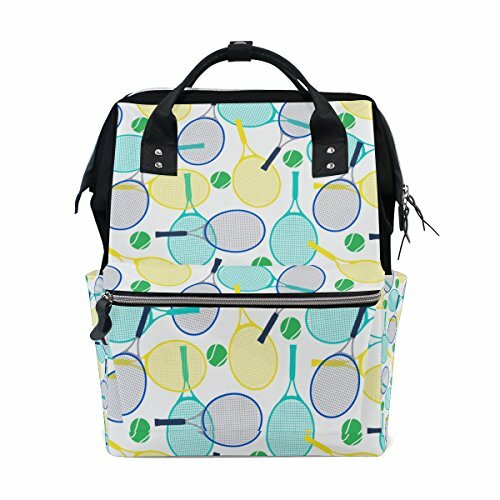 Perfect for school,going restaurants,shopping,traveling,camping,and cycling,daily use,etc. Due to the difference between different monitors,the picture may not reflect the actual color of the item,Please allow the slight color difference.Thanks! Please allow 1-5mm error due to manual measurement. Many occasions:It is very elegant and suitable for many occasion like shopping, traveling,camping,going restaurants,etc. If you have any questions about this product by Chen Miranda, contact us by completing and submitting the form below. If you are looking for a specif part number, please include it with your message.